These days it is rare that I become so wholly immersed in a film that like a great novel, it leaves an indelible and haunting mark that follows me for days, weeks. 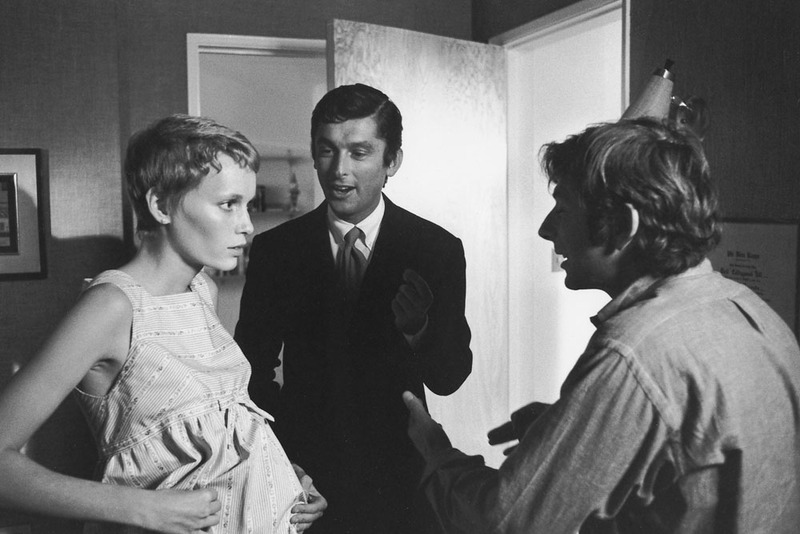 Rosemary’s Baby is such a film for me. 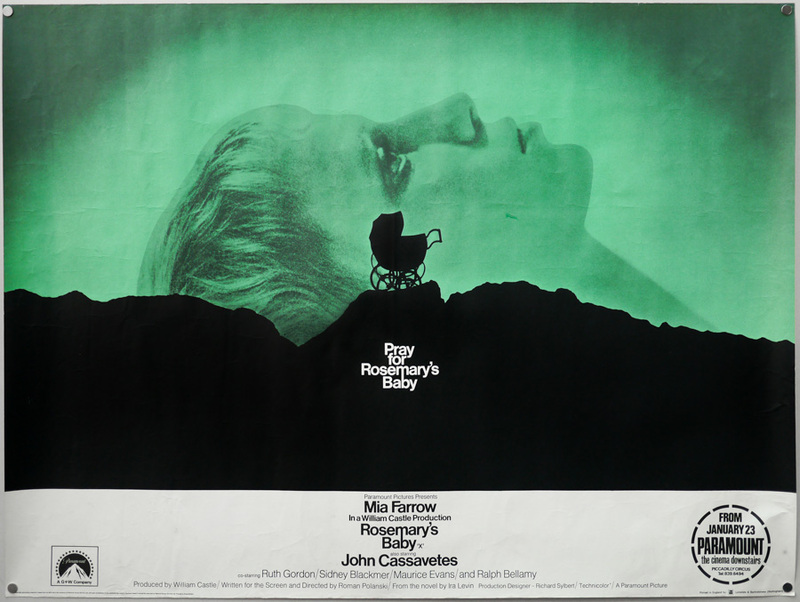 Until recently, Rosemary’s Baby remained innocuously tucked away on my mental list of “movies that I must watch”, and I selected it this past October as part of my yearly Halloween line up of horror flicks to be consumed in rapid succession. What initially struck me about this film is how quickly the world that Roman Polanski creates envelopes you. Mia Farrow softly and eerily serenades you as the movie opens and sets the stage for a powerful and poignant performance. Mia Farrow is spectacular as Rosemary’s Baby’s lead. Rosemary Woodhouse possesses the perfect balance of extremes – she is innocent, vulnerable and intuitive while at the same time unwavering and tough as nails when the circumstances around her become strange and chaotic. To that end, Polanski does a remarkable job of creating a very unique and terrifying world for his characters to inhabit. We are almost immediately introduced to a peculiar little old couple that are neighbours to our likable protagonists – Rosemary and Guy Woodhouse (portrayed expertly by John Cassavetes). It is amazing how much terror is harnessed by such a frail and aging couple – Ruth Gordon is particularly memorable as the tenacious and sinister Minnie. Cassavates for his part is so incredibly charming and light that he seamlessly transitions from good to evil before your very eyes and you find yourself detesting him when only a moment ago you were happily enjoying the playful and engaging chemistry between him and his young wife. By the same token the movie rocks gently back and forth between the familiar and the macabre. It is in this metaphorical cradle that Polanski entrances the viewer. He introduces a safe environment which he populates with the comforting elements of young love, a hip neighbourhood, even an adorable little old couple and then he completely spins it on its head. It’s not long before you find yourself panicking for this unfortunate young girl, who is outnumbered by the evil souls surrounding her. What is most remarkable is that in the end, when all hope is lost and Rosemary has tumbled through the rabbit hole and landed in the pit of despair, we are reminded of the sheer power of maternal love. Once again the cradle gently rocks back, and we wonder if there is a place for good and evil to co-exist. Or maybe that is the eternal optimist in me.